You read that right! When we thought about what we wanted to do for Thanksgiving this year, we realized that what we are most thankful for is YOU! You help us create jobs that empower our local communities. You help up donate to causes that matter. You help inspire us to design products that truly make a difference. You help us do better, create better, and make a better world. 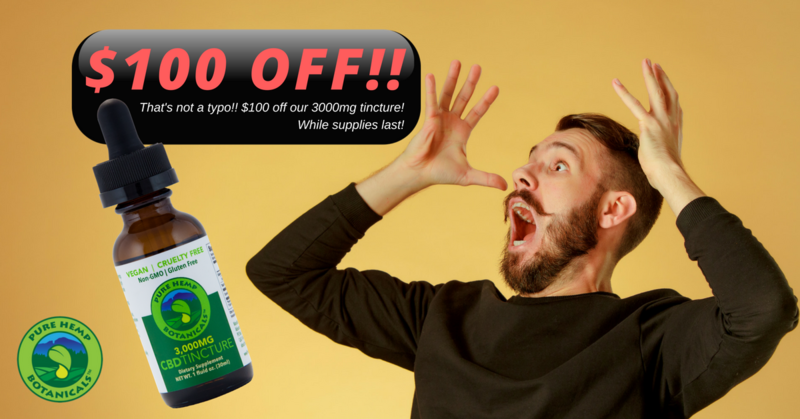 We want to say thanks by offering $100 off our highest dosage product – the 3,000mg tincture! We wanted to do something special that would make a real impact for real people. We thought something like $100 off would be just the thing, especially before winter hits! While supplies last, we’d love to be able to give you a big THANK YOU! with this sale! Stock up and feel well. ❤️ Our 3,000mg tincture is our most potent product, popular with people who have serious health goals. It can also be used in smaller amounts (not a full dropper) for lower doses. More ways we’re saying thanks: Weekly Giveaways! Each Monday, we’ll announce up to 3 winners for some of our most popular products! We wanted to find a fun way to connect with you guys while offering something to make your day better! 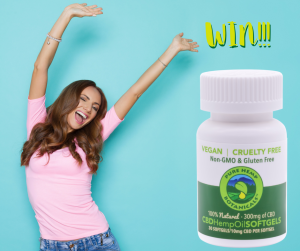 Keep reading below for details on how to enter! BONUS: Share the post after step 3 for extra entries!